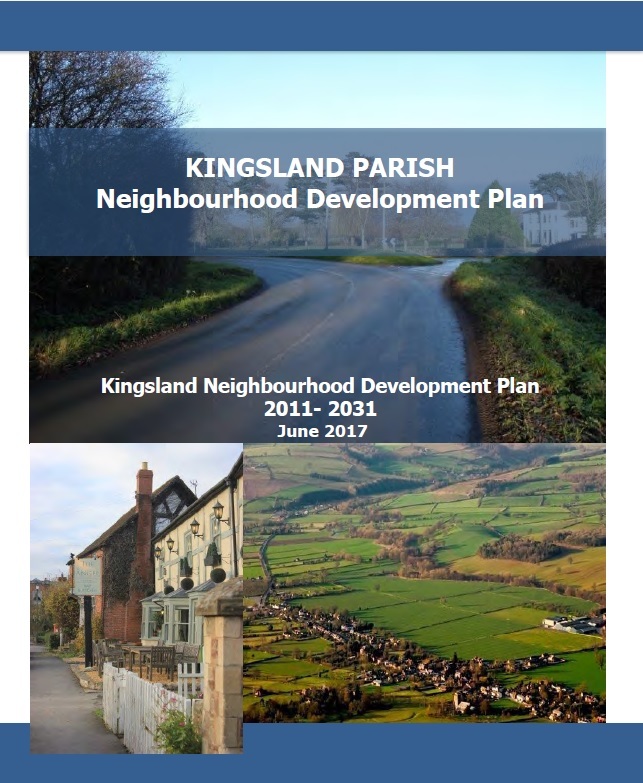 Please send us any info you would like included on the website – particularly if you are a business, club, organisation, running events, have any job or volunteering vacancies, or anything else in the parish you’d like publicised to info@kingslandlife.com. ALL ENTRIES ARE FREE for businesses, clubs, organisations and residents in the parish!! Please also let us know if you see anything that needs to be removed or updated as we cannot check everything! Many thanks. Please note that all the Parish Council pages are run by and are the responsibility of the Parish Council. Any queries on those or if you want to contact the Parish Council please contact the Parish Clerk here. 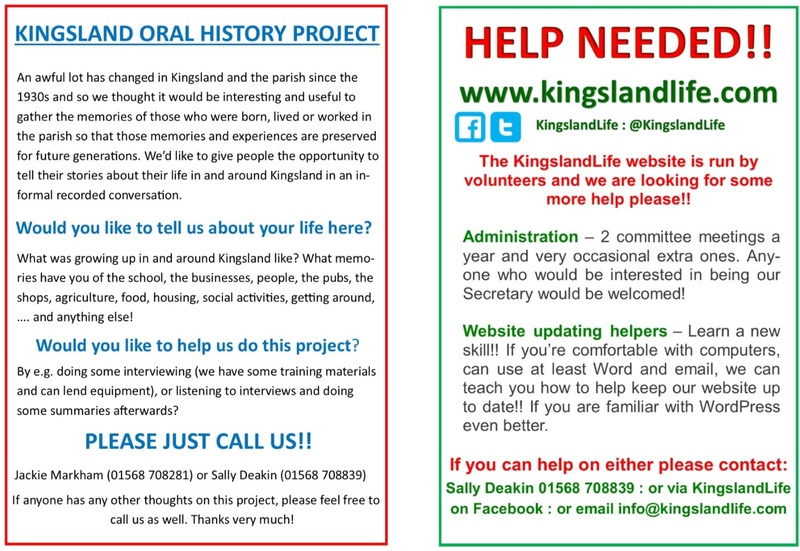 The rest of the site is run separately by volunteers and you can contact us via the KingslandLife/Contact Us page here. All updates to the site are listed on Web Updates under the Kingsland Life menu tab at the top, to save you time trawling around! You can read the April 2019 Kingsland News by just clicking here. A page of back copies is available under the Other Useful Stuff tab. 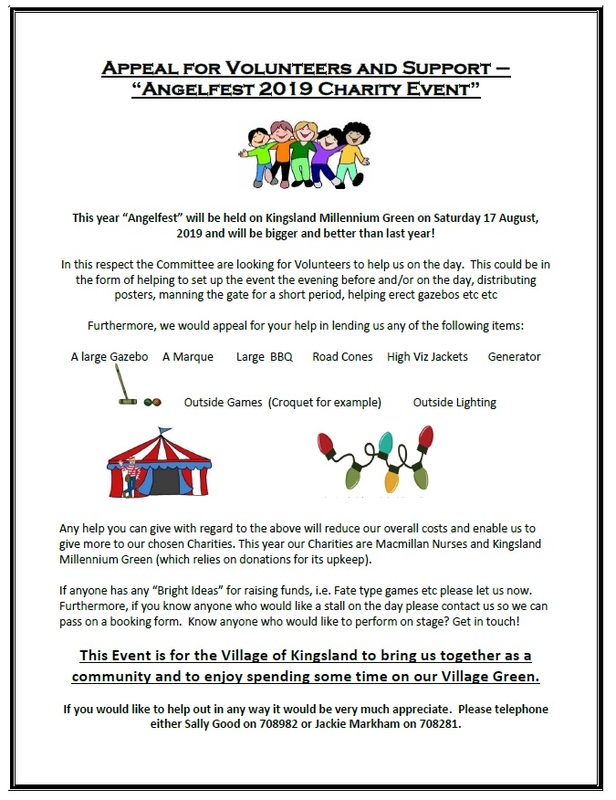 If you’d like to advertise or put an article in Kingsland News, please contact David Noon, the editor direct (you’ll find his contact details inside the Kingsland News). CLICK POSTERS FOR A LARGER VERSION! As the website has grown we now need a bit of professional help so in 2016 we contacted businesses, clubs, organisations and facilities in the parish to raise some funds. We’d like to give a big thank you to all those who’ve donated so far and we have a new page under ‘Kingsland Life’ listing all our generous supporters. If you would also like to support us by becoming a Sponsor via a voluntary donation, just see our Sponsors page under Kingsland Life. Thank you! Plus don’t forget we’re on Twitter – we have over 1500 followers so why not come and join us! See the KingslandLife twitter feed on the right of this page.